"Maybe you haven't you heard? Plaid pants and polo shirts are so last season. While sporting a mink coat with a matching pillbox hat, Dot Morel played a few holes of #golf earlier today. 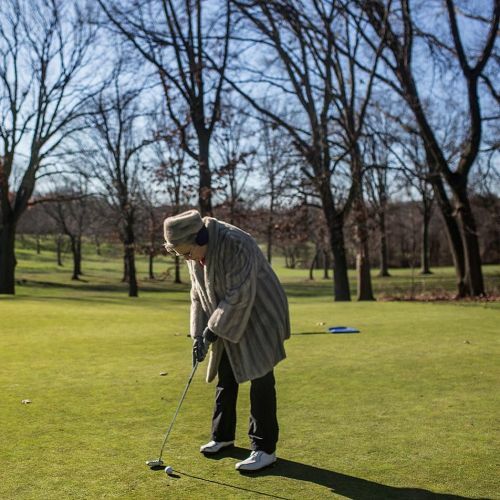 "Mink isn't ideal for golf – it's restrictive – but it definitely keeps you warm," Dot said. Every year, she and a group of women who belong to the Silver Lake Women's Golf Club on Staten Island gather to play what they call the "Mink Open." Despite the name, it's not all about #mink: Many members of the group are sensitive to animal rights, and either wear fake fur, or garments handed down from family members. The photographer @kirstenluce captured Dot and her friends — three of whom are also named Dot — as they teed off, while staying warm. #⛳" By nytimes on Instagram.